We specialise in re-creating the experience of the Tudor Interlude, and can be booked for private functions or corporate events. Eventually we hope to oust after dinner speeches as the entertainment of choice for the discriminating. Tudor Interludes flourished between about the 1490s and 1560s, after which full-length plays in purpose-built theatres heralded the heyday of Elizabethan drama and the age of Shakespeare. Interludes were performed by some of the first English professional actors who were hired by owners of large houses to provide entertainment for their guests in the main hall. Little is known about the circumstances of performance, but in all probability the actors arrived, looked at the performance space available, and decided how to make best use of it. As part of their pay the actors were provided with food and drink, and sometimes accommodation. 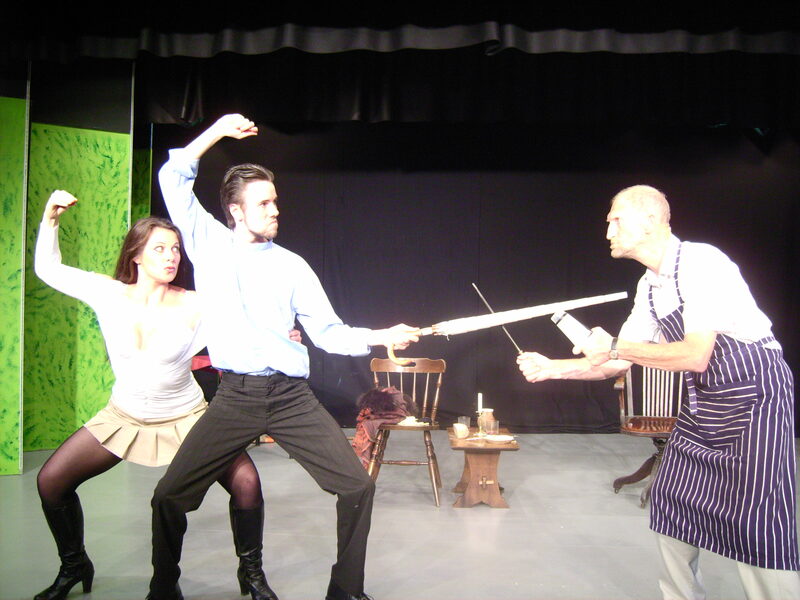 A play performed between two courses of a meal.